Ranger Tournament Series Landing Nets are a proven solution for many anglers. These nets feature a special basket material that eliminates hook tangles without the weight of other all-rubber basket nets. 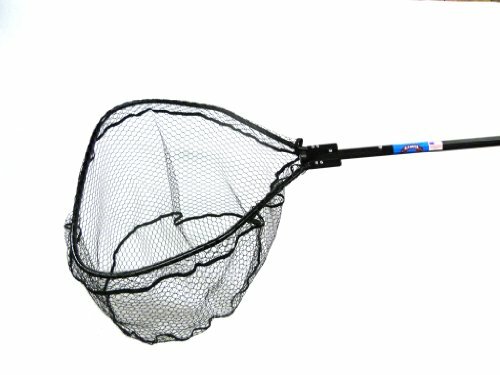 Each net features a knotless, hook-free rubber coated nylon construction and flat bottom basket with 3/4″ holes for less water resistance. Ranger Tournament Series Landing Nets also feature heavy-duty octagon handles that automatically line up for a quick extension and slide into the hoop for easy storage.